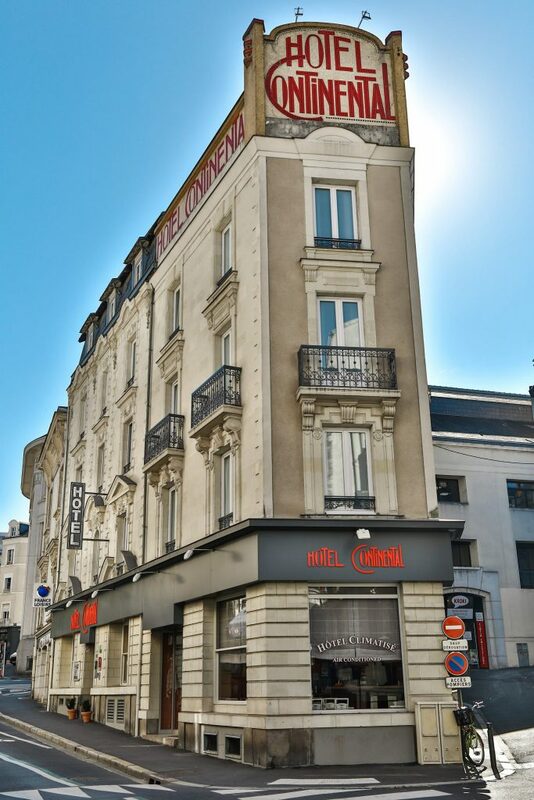 Built in the late 1890s, the building has never ceased being a hotel- which is very unusual -, taking advantage of its ideal location in the city centre. The edifice includes the back part of a small mansion built in the second half of the 18th century. Of course, the original building has been modified several times over time and according to travellers’ changing needs. 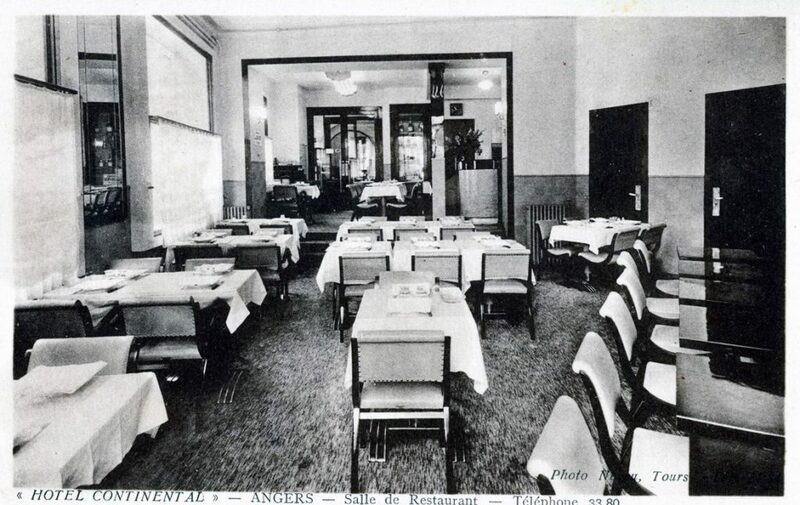 For instance, the little fancy garden terrace was removed in 1936 in favour of a new covered floor. 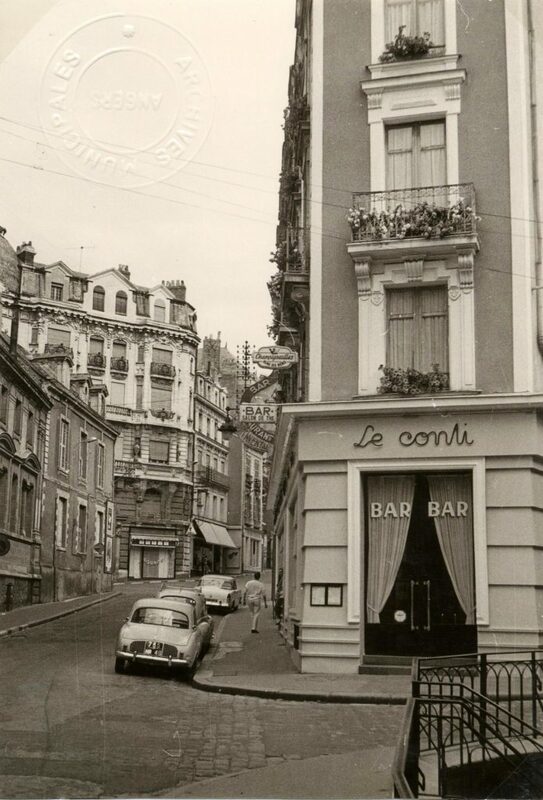 The Continental Hotel Angers retains its tuffeau stone facing, an Anjou feature, and its very charming “1900”style. 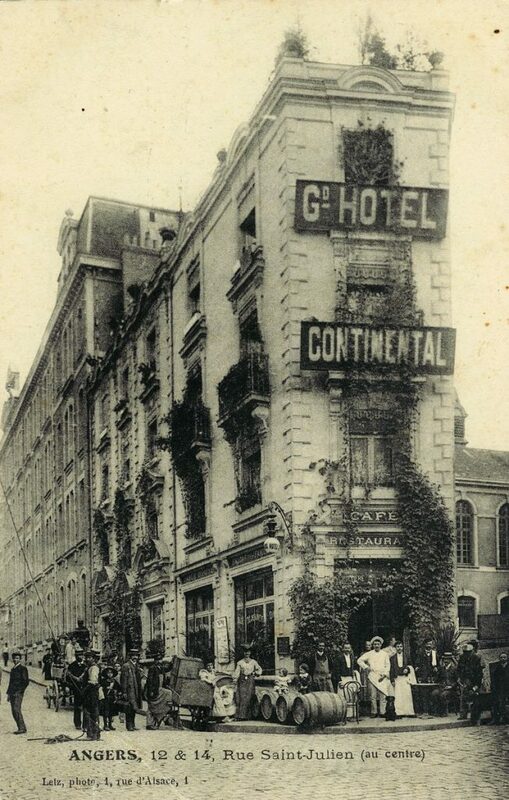 In the 30s, the owner added the superb monumental mosaic inscription, at the top of the building: ” Hôtel Continental “. 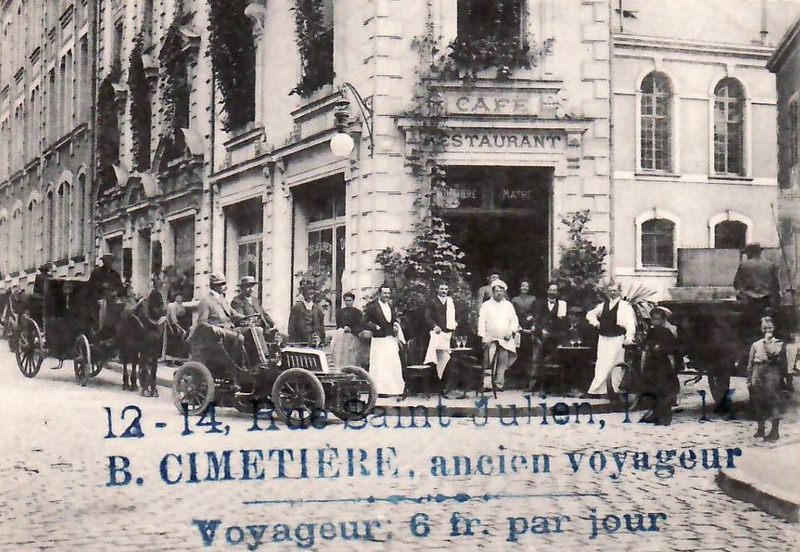 It was probably made by the mosaic artist Isidore Odorico, known to have worked on the site of the Maison Bleue (Boulevard Marechal-Foch). Mr. and Mrs. Pollet have owned the hotel since 1999. 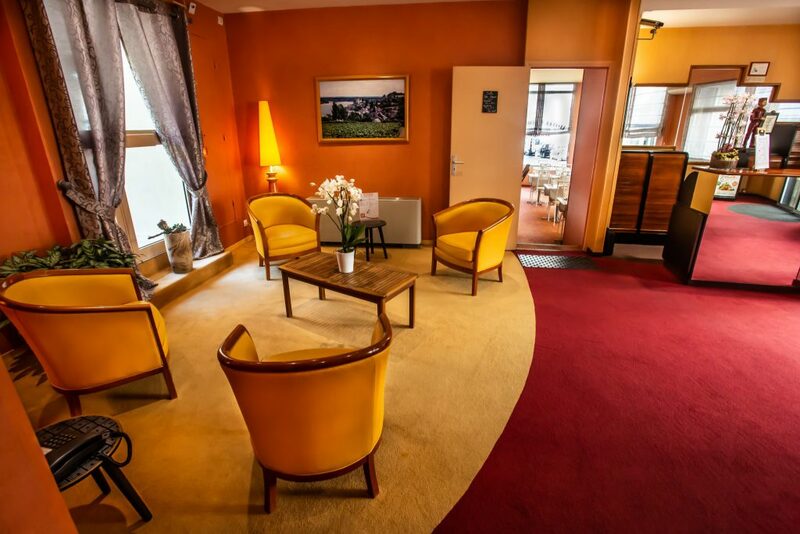 They have made several improvements, including renovating the 25 rooms in a warm, contemporary style.